The Council for Economic Opportunities’ Head Start preschool program offers a high-quality, holistic approach for children and families, coupled with a delivery system that includes national standards, monitoring, professional development and family engagement at all 13 Head Start centers. 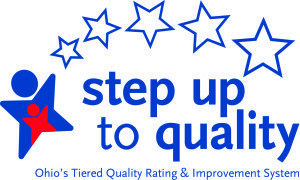 Centers are high-quality and four-or-five star certified by the State of Ohio’s Step Up to Quality program and all 10 of our Cleveland locations are PRE4CLE certified. Our Head Start program is led by renowned early childhood educator and expert Dr. Thea Wilson. In addition to our directly operated centers, we also offer a Home Base Head Start option where instructors will teach your child right in your home. 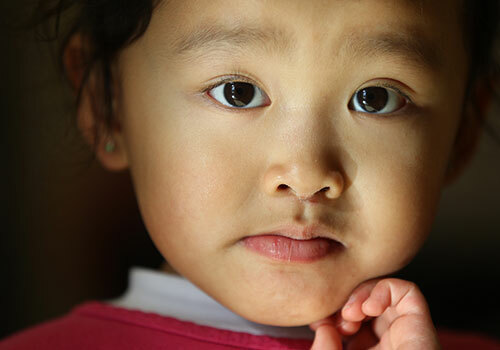 Click here to find out more about our Home Base Head Start program. Plus, we partner with other childcare locations in Cuyahoga County to provide Head Start and Early Head Start education and services across a broader area. Click here to see a map of our partner locations. The learning through play starts today. The Head Start preschool program serves the entire family and instills a lifelong love of learning. Our dedicated teachers and staff look forward to working with your family to make your children’s preschool experience extraordinary. To enroll, please call (216) 589-9922, or click on the “Enroll Now” button below. The Council for Economic Opportunities is partnering with Cleveland Police Chief Calvin Williams for the Friendship through Reading program. Find out more about the initiative here. Head Start knows that healthy children learn better, so we partner with the Case Western Reserve School of Dental Medicine to provide dental screenings for all children during the school year. We also work with University Hospitals and Cleveland Clinic to offer health screenings for parents and children at each center. Proper nutrition and diet is a vital element to success in school. 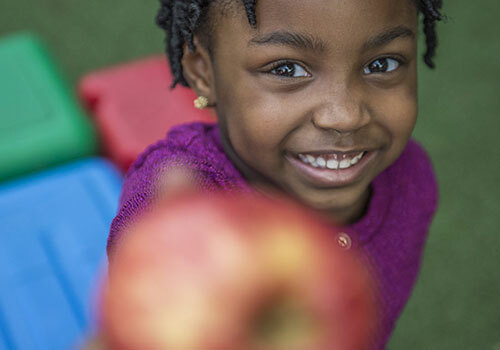 Head Start provides a healthy breakfast, lunch and snack daily to all of our students. The meals are served family style so teachers and students can talk with each other during the meal and share stories and experiences. Head Start features the HighScope curriculum in all of its classrooms. This learning through play model engages young minds as they explore letters and numbers, colors and shapes and the world around them. 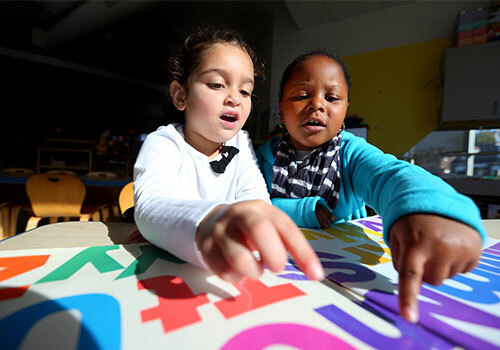 The active learning experiences taught in the Head Start classrooms include developmentally appropriate activities to help children achieve their full potential. Children’s early education is not only about reading and writing, but social development and working with their classmates, teachers and parents. 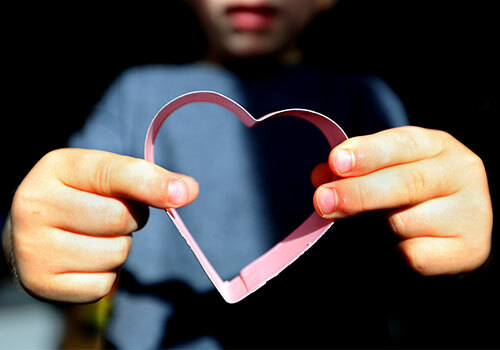 Learning positive social behavior at a young age will help the students adjust as they transition to kindergarten, elementary school and beyond. Head Start not only meets with parents while educating and preparing their children for school, but actually forms a partnership with them. Head Start operates a social services component that works directly with parents to assist them in finding educational and employment opportunities and shows them how to engage with local resources to support their family’s stability and growth. 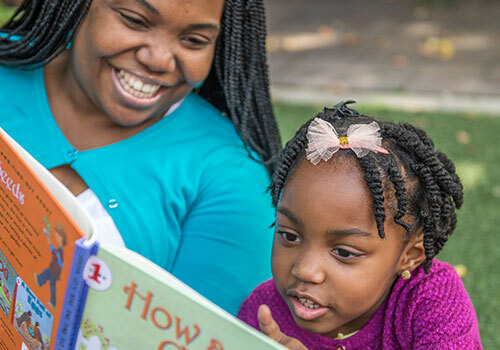 Each Head Start Center houses staff whose primary function is to work directly with parents so that their Head Start experience is as comprehensive and fulfilling as possible. Greater Cleveland offers a mix of arts, culture and nature experiences for preschoolers to explore. 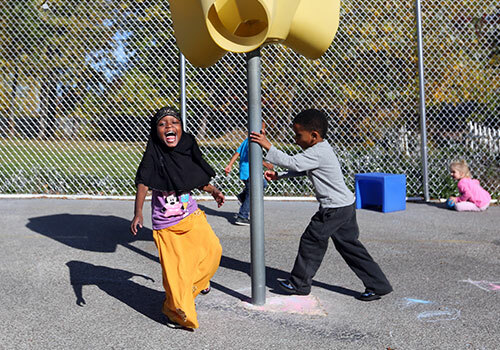 Our Head Start program partners with the Greater Cleveland Aquarium, Great Lakes Science Center, Nature Center at Shaker Lakes, PlayhouseSquare, Rainey Institute and the Rock and Roll Hall of Fame and Museum to name a few. 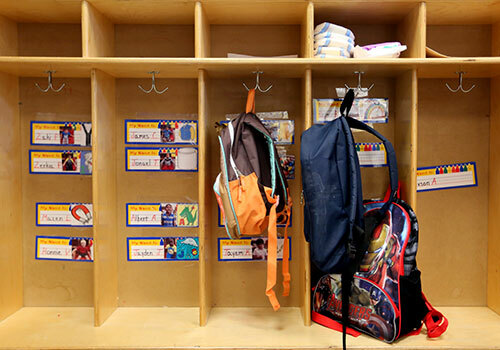 Head Start is an inclusive program designed to prepare children for school. That includes children with special needs or challenges. Our program works with Local Education Agencies (LEAs) to design and implement Individual Education Plans (IEPs) to assist children with special needs in reaching their goals. Come join us at one of our 13 Head Start locations throughout Cuyahoga County and get your family started on a lifetime of learning. Our Head Start Centers are open from 7AM – 6PM (Monday – Friday) and we offer Full and Part Day program options for your family. Click here to find a program near you.